We hope to see you at one of our upcoming Advocacy workshops and our Rare Disease Day events being planned across numerous states! The National Organization for Rare Disorders invites all advocates to attend and participate in the Rare Action Network Patient Advocacy & Orphan Drug Workshop being held on Friday, February 1, 2019 from 8:30am to 3:00pm, Allentown, Pennsylvania. This will be an opportunity to learn about rare disease patient advocacy and connect with NORD about current legislative actions. In addition, this workshop will feature an opportunity to speak directly with members of Congress from Pennsylvania about the Orphan Drug Act. This event is hosted at no cost to participants, and a light breakfast and lunch will be served. Click Here to Register for the PA RAN Workshop! The National Organization for Rare Disorders invites all advocates to attend and participate in the Rare Action Network Patient Advocacy & Orphan Drug Workshop being held on Saturday, February 23, 2019 from 8:30am to 3:00pm, Little Rock, Arkansas. This will be an opportunity to learn about rare disease patient advocacy and connect with NORD about current legislative actions. In addition, this workshop will feature an opportunity to speak directly with members of Congress from Arkansas about the Orphan Drug Act. This event is hosted at no cost to participants, and a light breakfast and lunch will be served. Click Here to Register for the AR RAN Workshop! The National Organization for Rare Disorders invites all advocates to attend and participate in the Rare Action Network Patient Advocacy & Orphan Drug Workshop being held on Saturday, March 9, 2019 from 8:30am to 3:00pm, Hyatt Regency Sacramento, 1209 L St, Sacramento, CA 95814. This will be an opportunity to learn about rare disease patient advocacy and connect with NORD about current legislative actions. In addition, this workshop will feature an opportunity to speak directly with members of Congress from California about the Orphan Drug Act. This event is hosted at no cost to participants, and a light breakfast and lunch will be served. Click Here to Register for the CA RAN Workshop! Each year on the last day of February, the rare disease community comes together to show support for the 25-30 million Americans impacted by rare diseases. The main objective of Rare Disease Day is to raise awareness among the general public and decision-makers about rare diseases and their impact on patients' lives. Patients, families, caregivers, medical professionals and industry representatives are invited to attend events to discuss the challenges rare disease patients face and learn how you can make a difference in the lives of rare disease patients and their families in your state! Visit the Rare Action State Pages and see the events being planned on or around Rare Disease Day in your state! 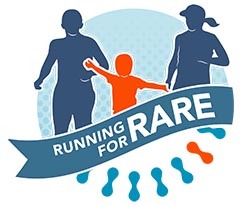 The Rare Action Network® is powered by NORD, the leading non-profit organization that is serving the rare disease community through programs of advocacy, education, research, and patient services.